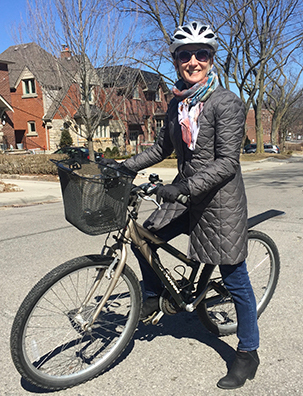 Holly is a long-time city cyclist, recreational road rider, Cycle Toronto member, and safe cycling advocate. Interested in bringing a Street Smarts cycling workshop to your workplace or to the community? Please complete an online booking form here. For a listing of upcoming public workshops, see our events calendar. Read more about Lanes and sharrows and trails, oh my!